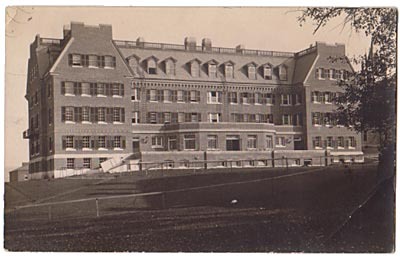 This classic dormitory, located across from Morrow Dormitory on the Pratt Quad, was designed by Charles Alonzo Rich in 1911. 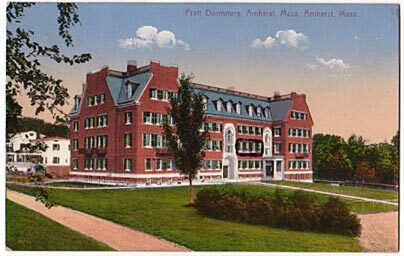 The building, which was finished in 1912, was a gift of Charles M. Pratt '79 and his wife in memory of their son Morris Pratt '11, who died while he was an undergraduate student (King, 320). The top image shows Pratt seen from Morrow Dormitory; below, as seen from Converse.